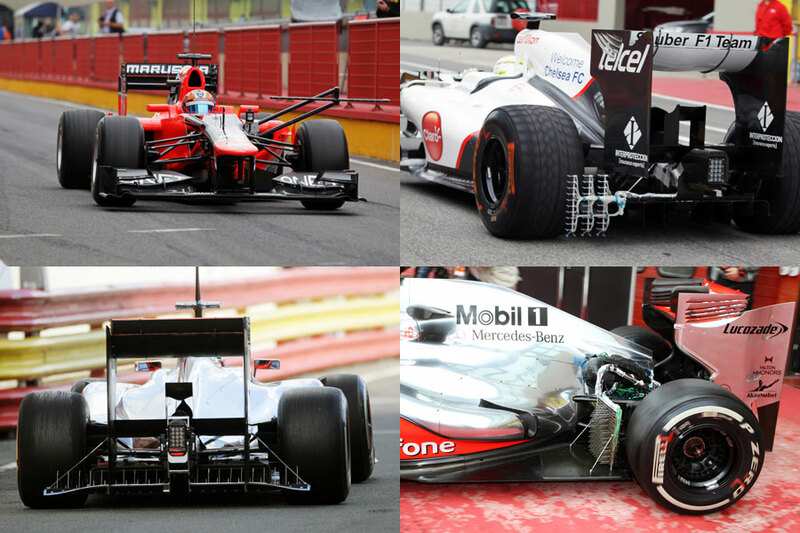 Obviously the teams were running a lot of aero measurement devices at Mugello and with it being a mid-season test, which we don’t normally get, all the teams were trying different bits of aero kit. Most the teams were trying these various different contraptions or at least running plenty of aero paint to learn as much about their cars as possible. We reckon some of these devices cost millions to delevop because first of all they have to be strong enough to stay on the car and secondly they need to work in specific areas of the car. It’s not just building something and sticking it on, they are bespoke measuring devices and built using the CAD computers so they are very expensive. The one that Marussia were trying had been loaned from McLaren and it actually moves up and down as it goes around the track. The arm that sits out can go level and you can see in the photo that it’s sitting up as it goes down the pit lane. Most of the other ones are static, but the purpose is the same: to measure the airflow. It just proves that all the teams are never happy with their cars and are always looking for new ways to find improvements in the development race. I like this shot because it gives you an idea of the scenery around the circuit. 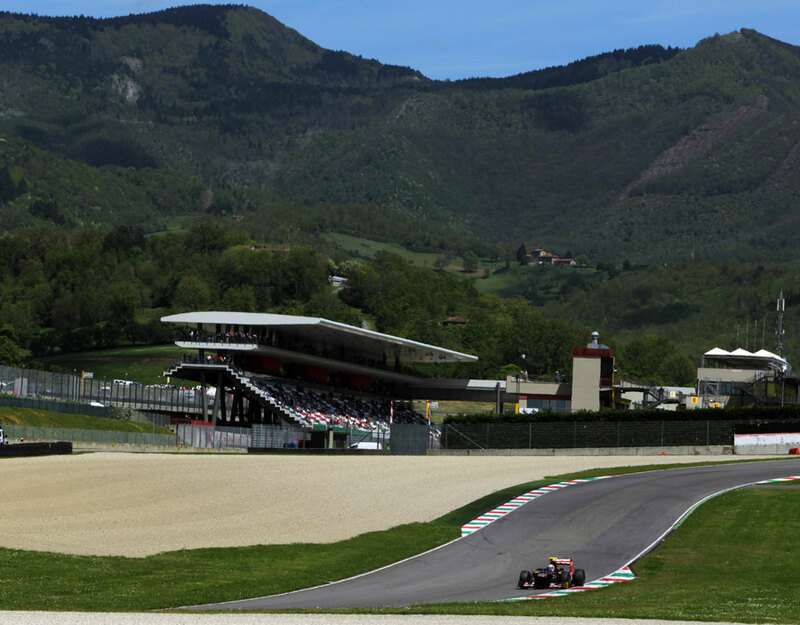 Mugello is a bit like Turkey I suppose because it’s got undulating corners and a lot of banked corners. It’s a really fast track and almost like a mixture of all the good tracks on the calendar. You can see this it’s a fast track because of the size of the gravel traps that have been put in to satisfy FIA standards. But it’s still quite an old-school track in many respects and I think that’s why so many of the drivers were saying they loved it. Here’s more proof that Mugello is an old-school circuit. In this photo you can see the perimeter wall of the circuit, but unlike other tracks, the catch-fencing to protect the spectators is further back with the perimeter road in between. So as a photographer you can shoot from behind the wall but in front of the fence rather than through holes in the fence as we have to do at most modern circuits. In this shot you can see that Vettel has cycled over from the pit lane and has an unobstructed view of the car. I felt a bit sick after this. I never found out what the problem was but there was a lot of black smoke coming out of the back of the Sauber as it came back to the pits and I immediately got in position to get the photos. I was just shooting through the smoke but a bit concerned and thinking “what if this catches fire or blows up”. 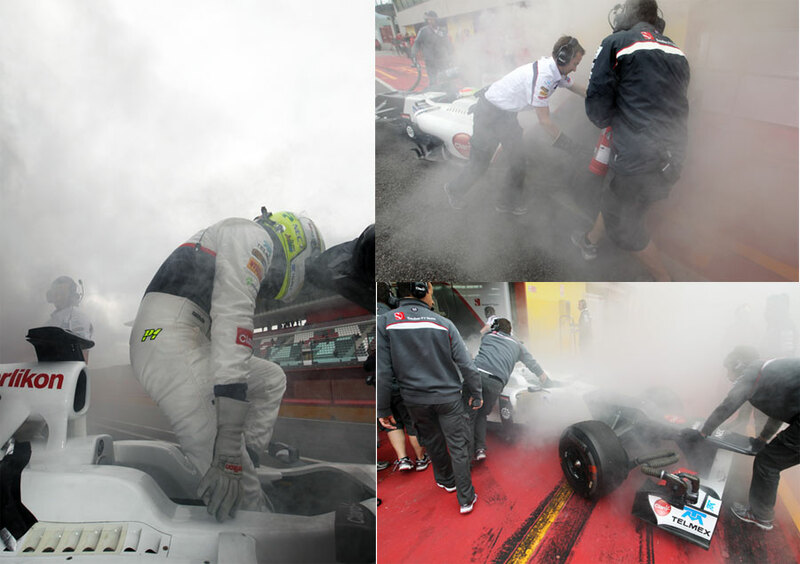 I was breathing in all those gases and coughing and you can see that Sergio Perez undid his seat belts and jumped out of the car very quickly. I’m still not entirely sure what the problem was, but all I know is that I was in the middle of it all and I felt a bit ill afterwards! I like this photo because it shows my job is not always just about shooting technical shots of cars. 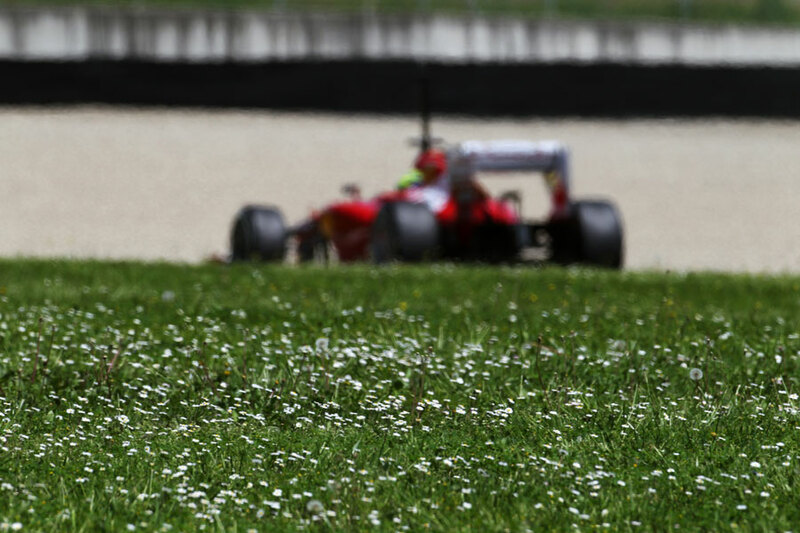 When the sun came out the circuit looked really beautiful with all this uncut, really green grass lining the track. I was trying to create something a bit different and at Mugello you have the freedom to shoot a lot more angles because you’re inside the fence. Here I was really low down in one of the gaps in the wall where the support vehicles enter the track and I got really low down and just waited for a car to come past. It’s a nice artistic photo. On the left you can see Ferrari’s Rob Smedley and one of the Pirelli technicians analysing some of the tyres that have been out on track. I just held my camera underneath them and took some shots so that the lens was looking up at them as they worked. The shot of the Caterham shows just how many marbles the Pirellis were creating at Mugello as the teams tried to understand how to get the best from the tyres this year. This corner is loaded, as you can see, and that creates even more marbles off the racing line as the rubber gets flicked off the surface of the tyre.